Is it just me or is there something in the air during the holidays that just makes you happy? Everything just feels so magical! I love spreading my holiday enthusiasm with others, so today I’m sharing a really easy tutorial to get you in the spirit. This fun peppermint candy tray is a craft that anyone can do and every time I make it, people ask -- where did you get that?! It’s a total conversation starter. 1 empty soda can, spray painted in a color of your choosing! 2. Take your mints and arrange them on your baking sheet in the pattern you want your tray to be. I like circles and ovals best, but I think a star shape would be so cute...and ambitious. 3. When you have arranged your mints, place the tray in the oven for 5-7 minutes. Watch the mints carefully, once they start melting, the melding happens quite quickly! 4. Once fully melded, remove from the oven and let cool completely. 5. Peel your tray off the parchment paper carefully. Your tray will be somewhat fragile so pull gently at sticky spots. 6. Using a hot glue gun, attach your tray to the painted soda can (or cans depending on shape). 7. Serve up treats at your next holiday bash! 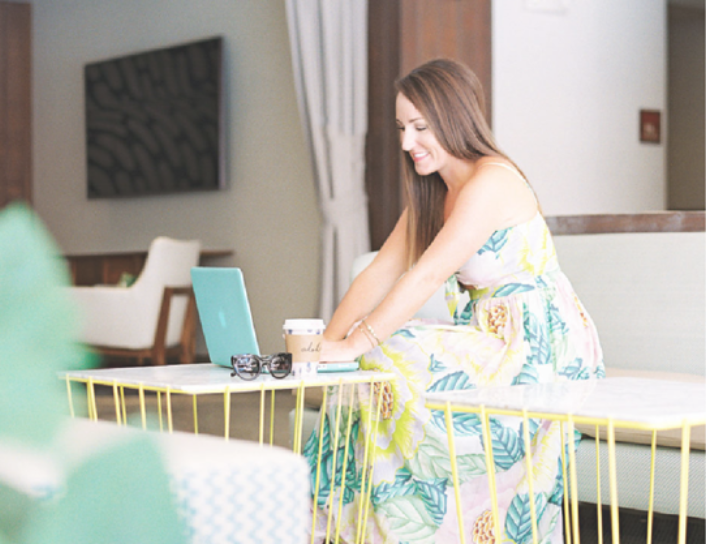 Kait Hanson is a Hawaii-based writer who focuses on food, travel and lifestyle topics. When she's not writing, she can be found trying a new restaurant with her husband or playing with her two chocolate Labs, Judy and Bill, at the beach. She blogs at CommuniKait.com and has been featured by Huffington Post, TODAY Show, Style Me Pretty and more. Follow along with her on Twitter, Instagram or Pinterest.